Previously we discussed the three core subjects: French, mathematics, and English as a second language, and how to represent them in a portfolio. We will now turn our attention to other applicable school subjects, according to your child’s grade/learning level. Using the same format, these can be documented by keeping the table of contents of each workbook used, and the child’s corresponding work throughout the year. Your child’s understanding of these subjects can also be demonstrated through the projects they’ve completed. For example, if a science project required editorial work or a report to record observations and findings, include some examples. In science, geography, history and social studies, you can include completed projects, or photos of projects that are three-dimensional or too large. Educational outings can also be represented in the portfolio. 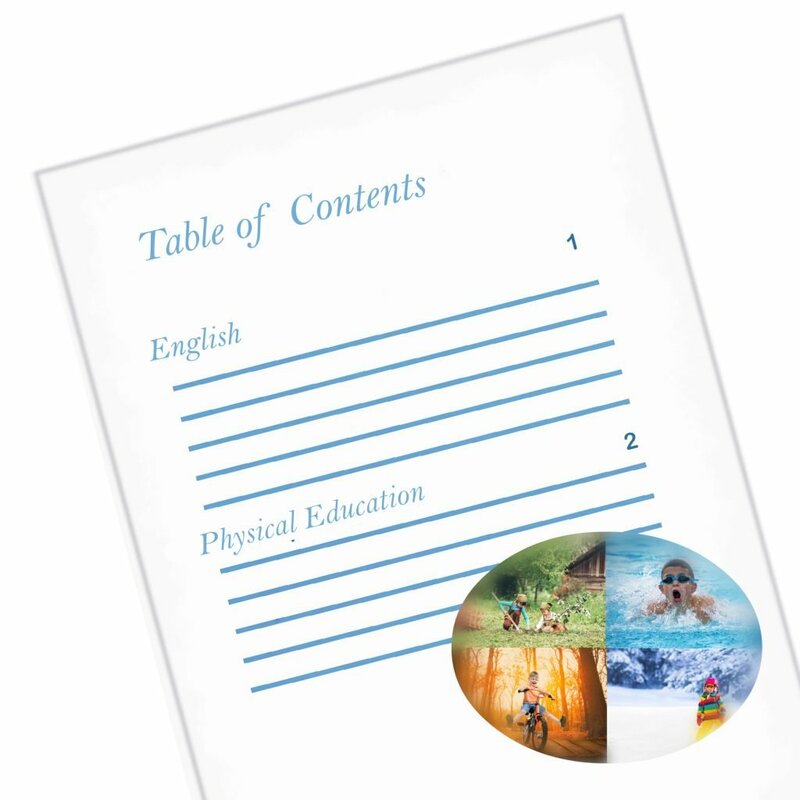 If a report is written after a trip, you should include it in addition to a description of the activity. Other subjects of note are physical education and the visual arts. It is important to mention all the main physical activities children engage in, so be careful to avoid listing only seasonal activities, such as cycling. You should, rather, include a variety of activities spanning every season. Do not hesitate to also mention activities and sports practiced during the summer break, such as soccer. For the visual arts, include projects, or photos of projects, and have a variety of work samples that represent your child’s abilities. This, therefore, covers all subjects, and it is possible to document each of them in a portfolio, whether they are taught in the traditional way, or through daily projects. The key is to be mindful of your intention to create a portfolio, as this will motivate you to document and keep all projects and work as they are completed.